Hello, Shimmerz Paints fans! 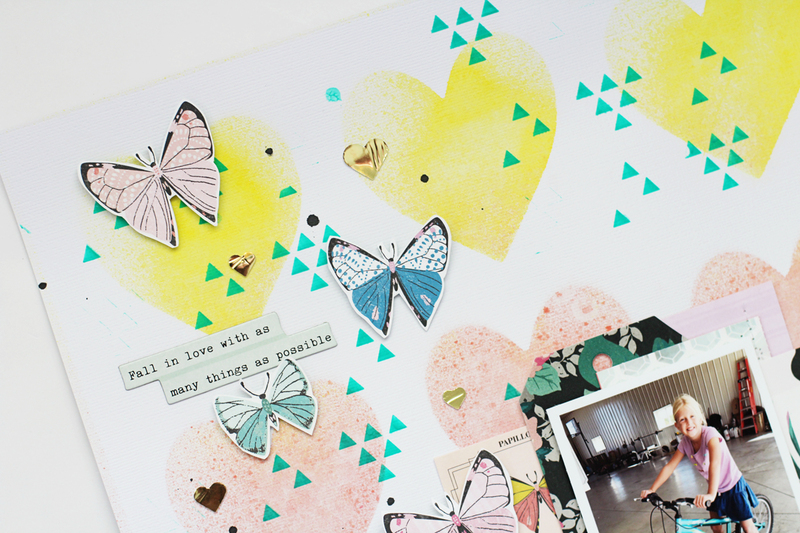 I'm here today with a layout that I created using some gorgeous Coloringz and Paste-eez! 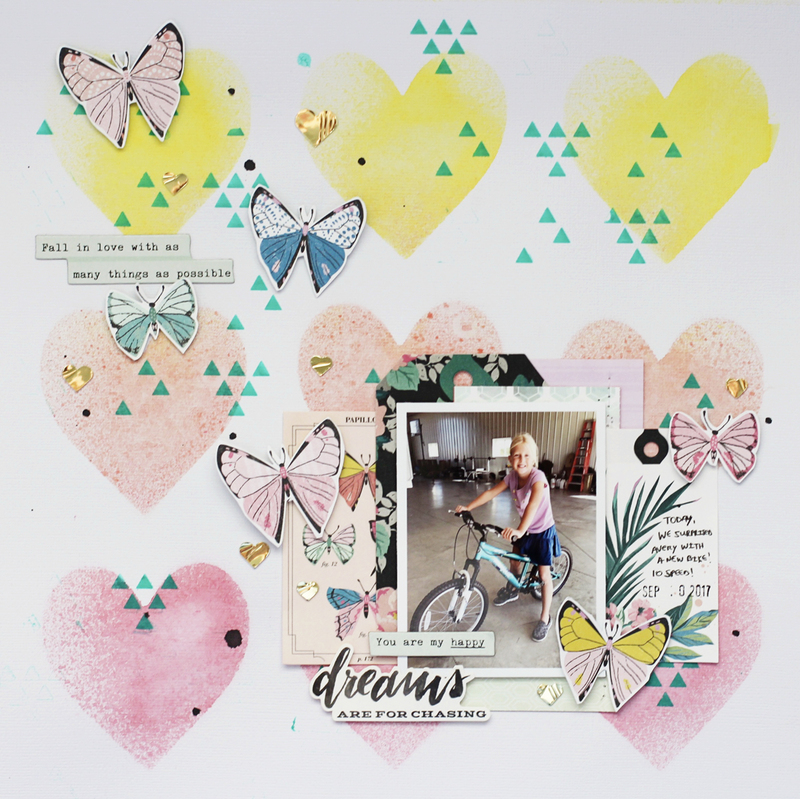 I chose a piece of cardstock that I had used from a previous project that had been through my Silhouette machine and had nine large hearts cut out of it to use for my background design. 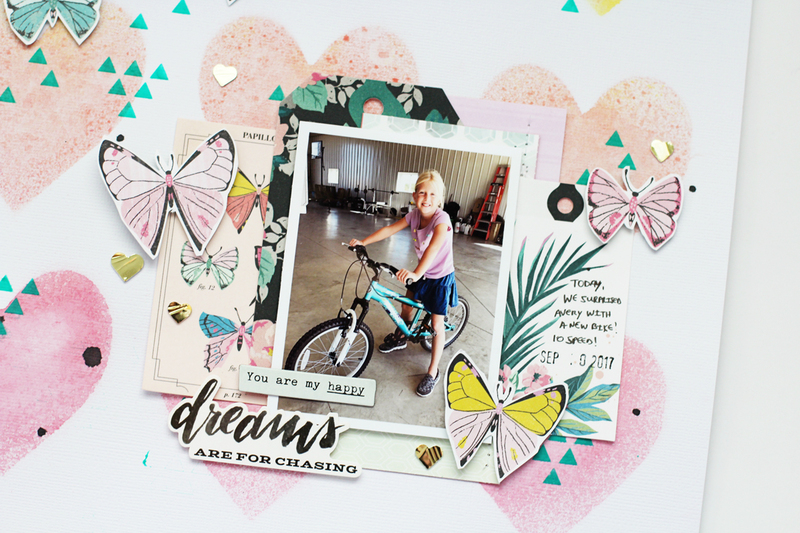 I simply placed the heart cut-outs over another solid piece of cardstock and used some Coloringz in Pretty in Pink, Peachy Keen, and No Yoking to create an ombre effect on my page. 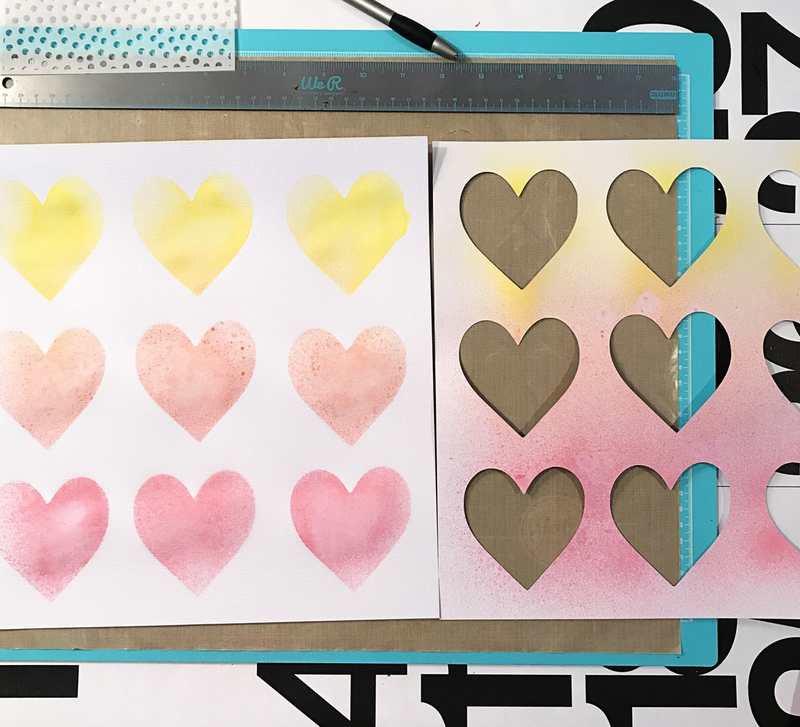 After the spray ink dried, I grabbed a triangle stencil from my stash and some Paste-eez, a smooth dimensional paste that has a flat finish, in Tree Hugger and placed a random pattern of triangles across the ombre hearts. 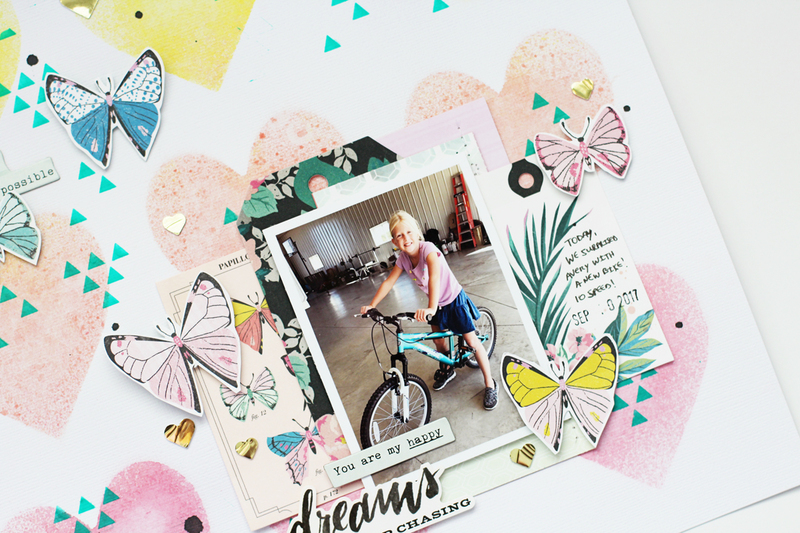 I layered my photo on top of some patterned paper tags and scattered some butterfly shapes that I fussy-cut and completed my page. I also sprinkled a few drops of Coloringz in Night Moves, which is black without any shimmer, to coordinate with the pops of black in the pattern papers I chose and my title, Dreams Are For Chasing. Don't be afraid to get creative with your leftover scrap pieces, especially if they have shapes or images cut out of them! They make great stencils and page accents. Thanks so much for joining me here and I hope you have a fabulous day!